An application challenging the removal of three board members from the Southern African Nuclear Energy Corporation has been stuck from the urgent court roll. Necsa conducts research and development in the field of nuclear energy, radiation sciences and technology. It is also responsible for uranium enrichment. 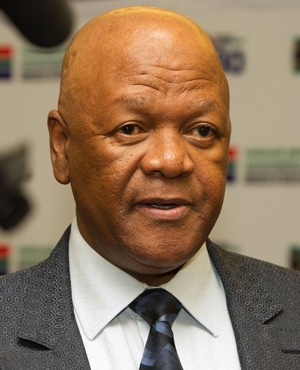 In late 2018 Energy Minister Jeff Radebe dissolved the corporation's board. a memorandum of understanding signed with Russian firm Rosatom despite the minister's instructions not to. A new board was announced in early December. Former Necsa board chairperson Dr Kelvin Kemm, the group's suspended CEO Phumzile Tshelane, and the former chair of the board’s audit and compliance subcommittee, Pamela Bosman, are challenging the minister's decision. The North Gauteng High Court was to hear the urgent application on Thursday. But Judge Daisy Molefe struck it from the roll, given the volume of paperwork lawyers for Radebe had filed, Kemm's lawyer Douglas Molepo told Fin24 on Friday morning. For an urgent action to be heard, papers may not exceed 500 pages. According to Molepo, lawyers for the minister had filed an application of 800 pages. The matter will now be heard at a later date. At the time of publication, the Department of Energy had not yet responded to Fin24's request for comment.